Alice In Chains are out with the music video to their new single ‘Lesson Learned’, off the Seattle, Washington rock band’s fourth studio album ‘Black Gives Way to Blue’, out now on Virgin/EMI. Watch the Paul Matthaeus directed video via Yahoo! Music below. 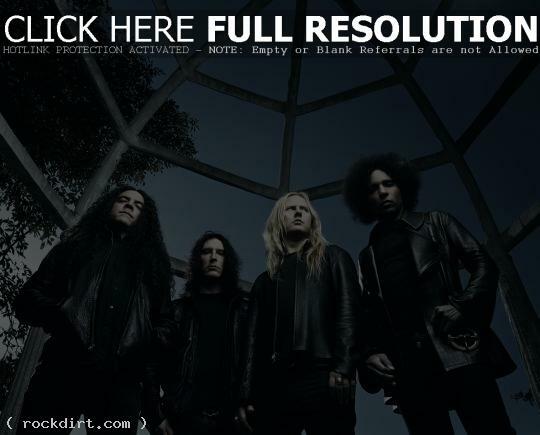 After the death of singer Layne Staley in 2002, Alice in Chains has regrouped with new singer William DuVall to record their new album ‘Black Gives Way To Blue’, which debuted at No. 5 on the Billboard 200 this month and spawned a title track that went all the way to No. 1 on the Rock Songs chart. “I think initially people came [with] arms crossed, sort of hoping against hope. I hear that a lot,” DuVall tells Billboard. “I’m not trying to do a Layne. One of the things I loved about him was how individual he was. He was just being himself, so that’s what I do.” Watch an interview with the band below. Alice in Chains performed ‘Your Decision’ and ‘No Excuses’ during an appearance on ‘Jimmy Kimmel Live’ in Hollywood on Tuesday (September 29). Watch it via YouTube (‘Your Decision’ / ‘No Excuses’). Alice In Chains are out with the video to their new single ‘A Looking In View’, the first release from the American rock group’s fourth studio album ‘Black Gives Way To Blue’, out September 29th via Virgin/EMI. 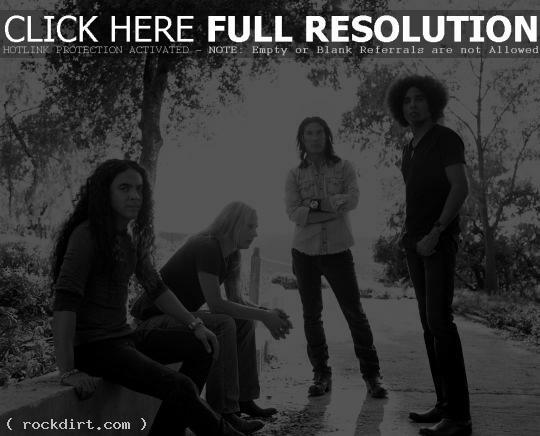 The album is the first featuring new vocalist William DuVall, the replacement of the late Layne Staley. Watch the Stephen Schuster directed video below. 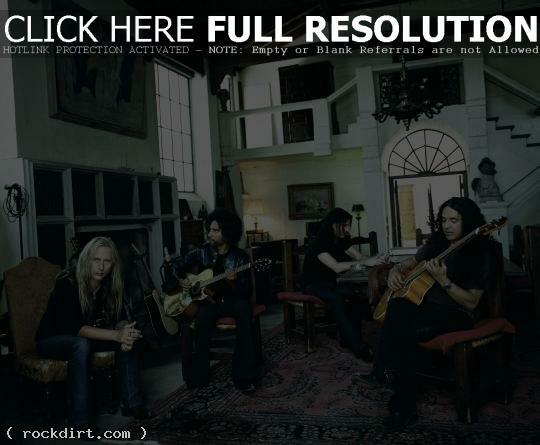 MTV.com spoke with Jerry Cantrell of Alice In Chains, asking the guitarist if fans of the band, now fronted by William DuVall following the 2002 death of original lead singer Layne Staley, could expect a new album in 2008. “Definitely possibly,” Cantrell responded with a healthy guffaw. “I don’t think you can put a time limit on it, because first we have to come up with a record we’re satisfied with, and I think we can do that.” Read more. Velvet Revolver and Alice In Chains rocked the Sound Advice Amphitheatre in West Palm Beach, Florida on Sunday (October 7). Watch fan filmed highlight clips from YouTube.